Well, another year draws to a close here at Colorado Canyons Association, and it’s time to look back and celebrate. 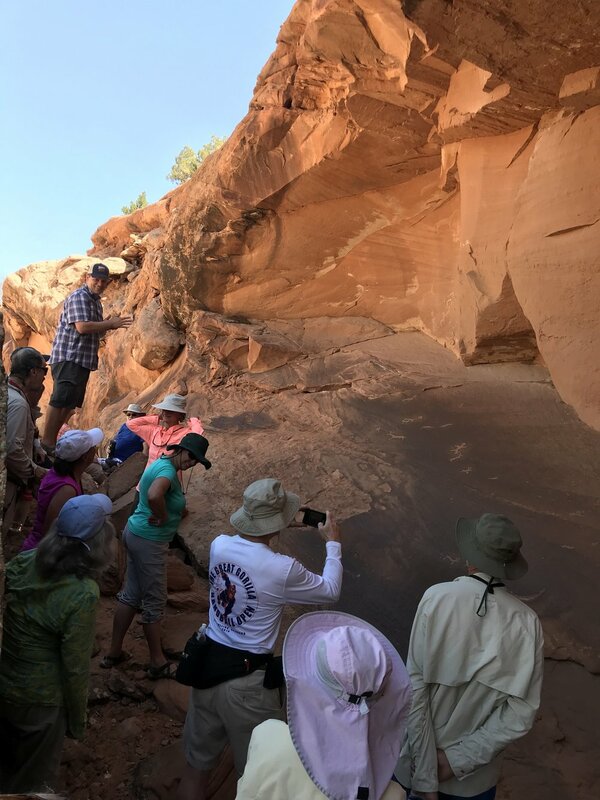 Working with the Bureau of Land Management, some incredible partner organizations, and our outstanding volunteers, we brought nearly 2,200 students onto their public lands for science-based outdoor classroom experiences in Gunnison Gorge, Dominguez-Escalante, and McInnis Canyons National Conservation Areas. CCA worked hard to improve the quality of experience for students and volunteer educators in 2018, for example: our AmeriCorps VISTA in Montrose improved our weeklong Cottonwood Days event this year creating updated curriculum, signage and orientation procedures adding capacity for this 6th grade event. The red rock canyons and painted clay hills of western Colorado’s NCAs once again rang with the shouts of children this year. 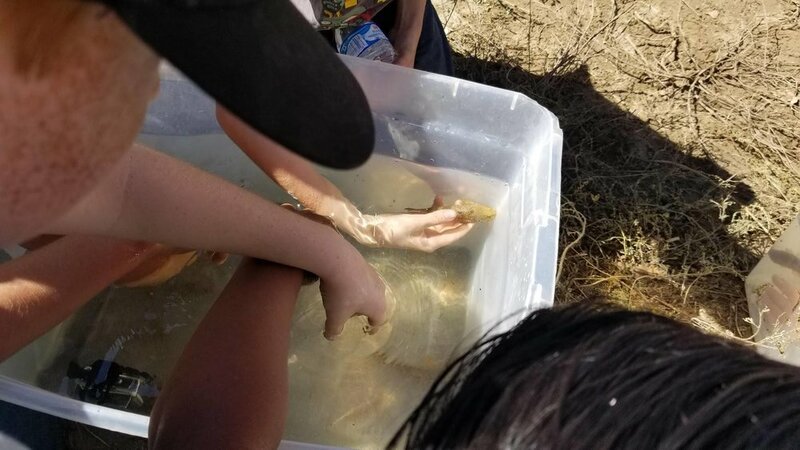 Nature, the oldest teacher of humanity, played host to thousands of students, as youth from across three western slope counties came out to experience the joy and wonder of our surroundings. Whether it was 3rd graders learning about the star in the heart of every Cottonwood, 4th graders touching the remains of an ancient predator long dead, 6th graders getting to hold a native fish in their hands, or a high schooler on the path to their future have, as they put it, “The most amazing moment of my life,” as they connected with the Earth, all shared in one thing; learning outdoors. CCA is proud to provide these opportunities to the next generation of community members, stewards, and public land owners. After receiving our river outfitting license, CCA launched our river education program in 2018. We spent the first half of the year acquiring three rafts, a van, trailer, shed, inflatable kayaks, camping gear for 20 students, and all the other equipment to launch the program. Since our first trip with student leaders from the Outdoor Wilderness Lab (OWL) program at Bookcliff Middle School in May, we have partnered with The Nature Connection, Riverside Educational Center, Mesa and Delta County Partners, Hilltop, Diné College, as well as, schools from Mesa, Delta, and Montrose counties. 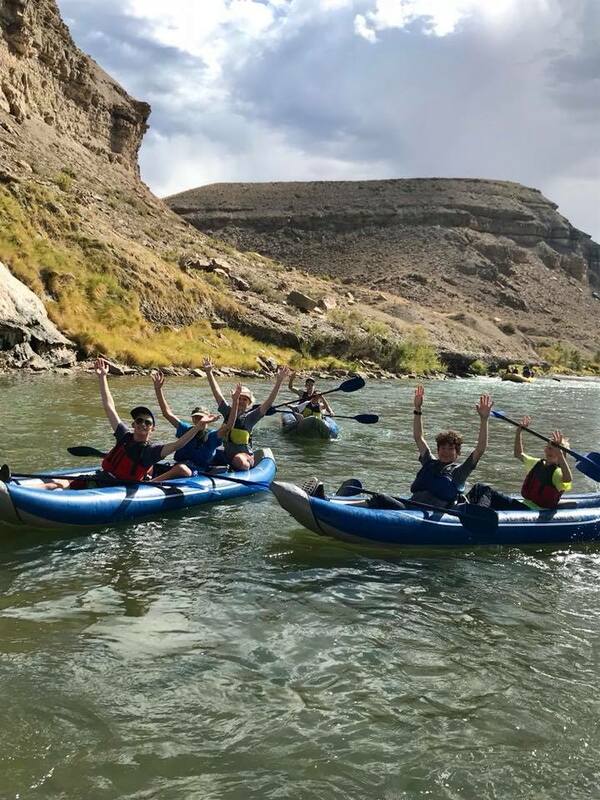 In the spring of 2018, we began taking students to Camp Catalpa to learn about river rafting, outdoor exploration, leadership development, and the natural world. The coming years will see hundreds, if not thousands, of local students who will get to develop their leadership skills, feel empowered and confident, and experience their public lands in a whole new way. 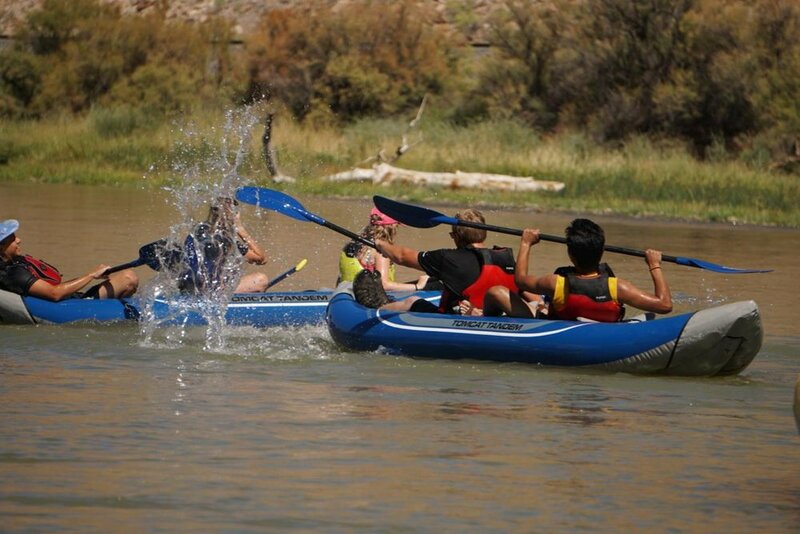 We spent 31 days on the river with over 270 elementary, middle, and high school students. Next year, we are on track to double the amount of students and days on the river! In 2018, we also launched our Adventure Series. 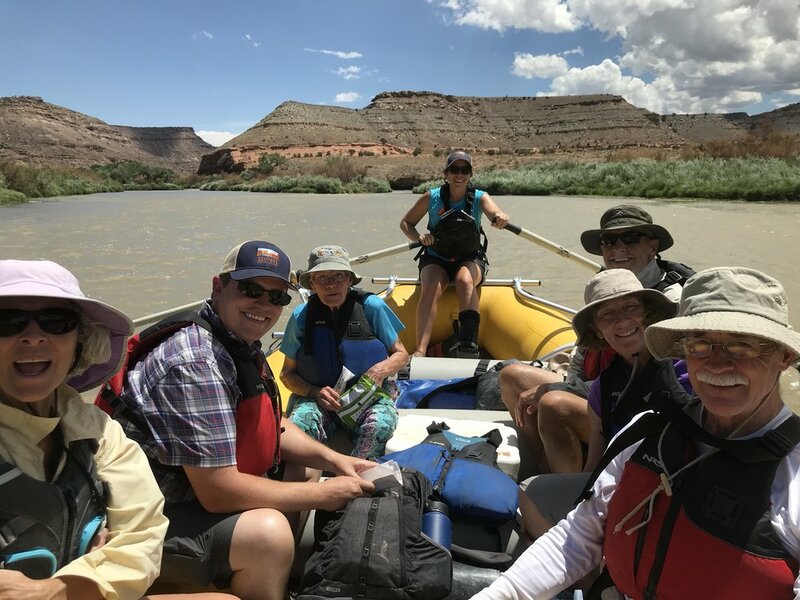 This fee-for-service program provides high-end educational trips to community members who want to experience their public lands in a new and exciting way. Funds generated through this program go back into providing support for our youth education programs, and create powerful connections between community members and their stunning public lands. Through an exciting partnership with the Museums of Western Colorado, we offer place-based learning opportunities focusing on local history, geology, paleontology, and much more. Look for an announcement of our 2019 adventures in upcoming newsletters. Thanks to everyone for such a great year! We’re looking forward to accomplishing even more in 2019. Newer PostThe Land & Water Conservation Fund Update!